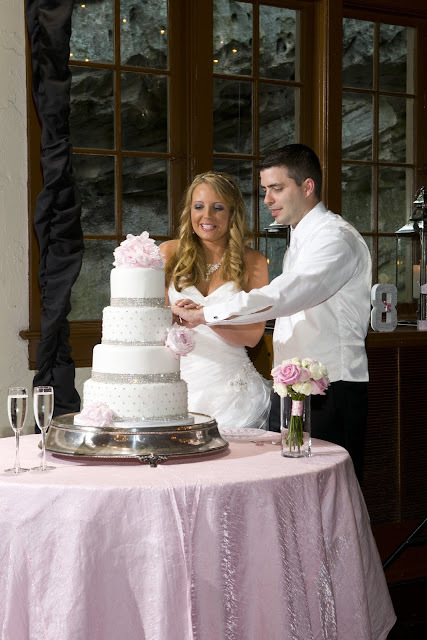 One of the things I had a lot of fun picking out were our wedding cakes. 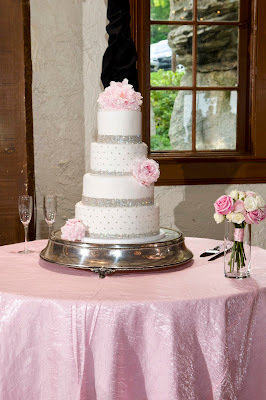 I knew I wanted something classy, blinged out and elegant for our cake. I spent a lot of time on Pinterest looking at "bling cakes" and then sketched out what I was thinking for the bakery that we used. The cake turned out beautifully!! I loved that we were able to have it on display for the cocktail hour so everyone got to see it (and the groom's cake) before it was moved into the reception. Our top layer that we saved was chocolate, next was strawberry, then wedding white and chocolate on the bottom. The cake was so moist and so wonderful! We didn't even have any left except for the top which we planned to save anyway. I had a diamond pattern with gems on every other layer and a small rhinestone strand band and on the solid layers, they added a thicker rhinestone strand band. 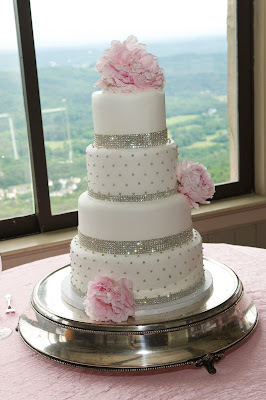 The final touch was a few soft pink peonies on the top and then some random placements on the layers. 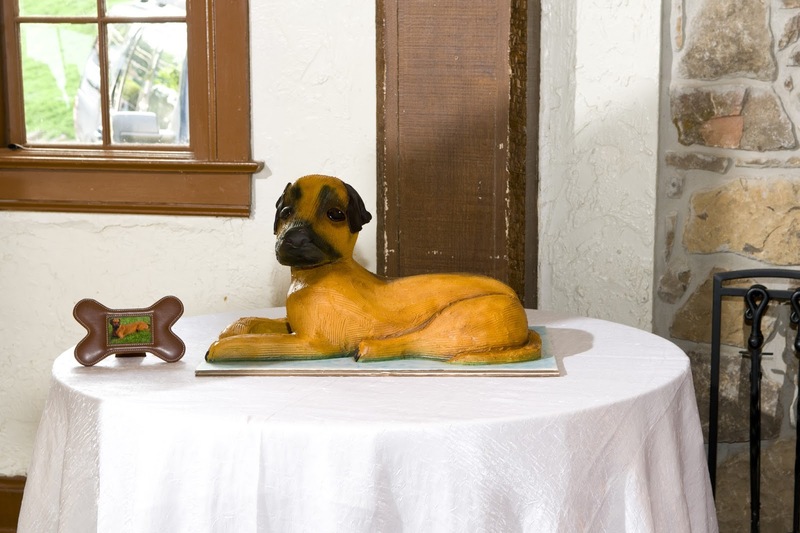 Adam's cake was a surprise to him and a no-brainer for me on what to get... a Henderson replica! He turned out awesome!! 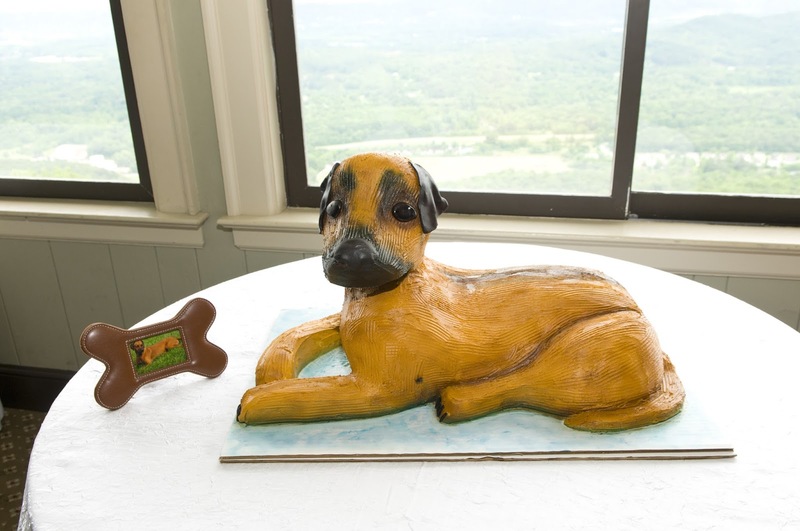 Hat's off to The Bakery in Athens, TN for creating such an awesome sculpted (yummy) cake. He was made out of yellow pound cake and butter cream icing. He really was too cute to cut!! Can't wait til 10 months from now when we bust out the top! !